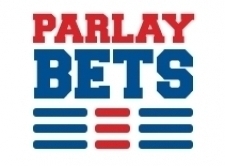 Parlay betting is one of the favorites in all of sports betting. It is because of the excitement it brings to your betting day or week. There is no doubt that parlay betting is certainly a difficult challenge. It’s a challenge worth taking if you want to make money. Let’s talk about how and why Parlay betting is such fun and exciting. When you are placing a parlay bet at a sportsbook, you are placing multiple bets onto one card for a nice chunk of winnings. Because it’s all on one card, you MUST win all the games placed on the parlay card. If you lose one of the games, you lose the entire bet. It does not matter if you win 9 out of 10 bets on a parlay card, one loss, and you are a loser. With each bet that you place on the parlay card, not only does the amount of money that you could possibly win go up, the odds that you are going to lose go up as well. Parlay bets can be done with games all in one day, or games on multiple amount of days. Why parlay betting can be such fun is the amount of money that can be won. You could place a $10 parlay down for 3 teams, and have a chance to come away with $60. Just think of the options. Seems easy, right? All you need to do is pick 3 winners. Let’s say it’s a Sunday in the National Football League. There are 3 teams that you love against the spread, right? That’s why it can be fun. Because not only are you sweating out one game, but you are sweating out multiple games. You are cheering for teams that maybe you have never cheered for before. When you have a chance to knock down a parlay card you cheer for any team. Imagine you have a 5 team parlay card. You have won the first four games. Just think about the fun and excitement you would have watching your fifth team play on Sunday Night Football. As with everything in the world of sports betting, you have to make sure you know what you are doing before placing a parlay bet. Many consider parlay betting as a sucker bets. That is because the sportsbook has a great advantage over you. It would be a great idea to make sure you know what you are doing before placing the parlay card. Best of luck with all your sports betting. We love what betting parlays does to the excitement of sports betting. Players have got to be cautious and want everyone else to be cautious as well. Use your best judgement. Always use smart bankroll management. Next time you log in your sportsbook account, check out what you can do with a parlay. You never know, maybe you will take it down and get rich! Every sport generates stats, facts and betting trends. Baseball especially, and in particular MLB games are at the top of the list. When it comes to the sheer amount of data that is collected for the results MLB is king. The NBA playoffs press on through the four conference semifinal matchups. There are some familiar teams at the top of this week’s hot list. Betting Update. It is a tournament commonly referred to as professional golf’s fifth Major. This week’s Players Championship at TPC Sawgrass in Ponte Vedra Beach, Florida is bound to draw some attention. Golf fans, and bettors alike, love this course and tournament. Previous: NBA Playoffs: Can 76ers Extend Series Against Celtics?